How awesome is Street Fighter. You'll notice that's not a question. It's a statement. Now, how awesome was Street Fighter the movie? That's definitely a question and it's a question whose answer is completely dependent on the person that answers it. Some - like myself - would say that the flick featuring Raul Julia and Jean-Claude Van Damme is completely and unintentionally hilarious and therefore awesome. Others would call it just plain terrible. And what could possibly be worse than a terrible movie based on a video game? That's easy. A video game based on a movie based on a video game! On September 5, 1995, Street Fighter: The Movie was released for the Sony PlayStation. Capcom decided to craft this gem by taking images of the actors in Street Fighter and digitize them, creating what, in essence, felt more like a Mortal Kombat-level of presentation, in terms of realism. 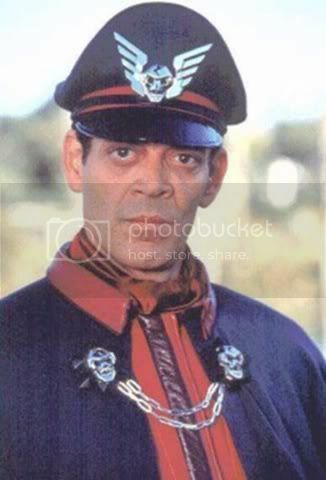 While most of the cast of the movie were included, Raul Julia, who played M. Bison in the movie, was unable to participate. Julia had suffered from stomach cancer followed immediately by a bout with food poisoning then a stroke which would lead to a coma and, shortly after, his unfortunate death in October of 1994. Replacing Julia for the game was Darko Tuscan. Tuscan was Julia's stunt double for the film. Unfortunately for Capcom and gamers, even Raul Julia's presence in Street Fighter: The Movie....the game...couldn't have saved the port. It was just bad.